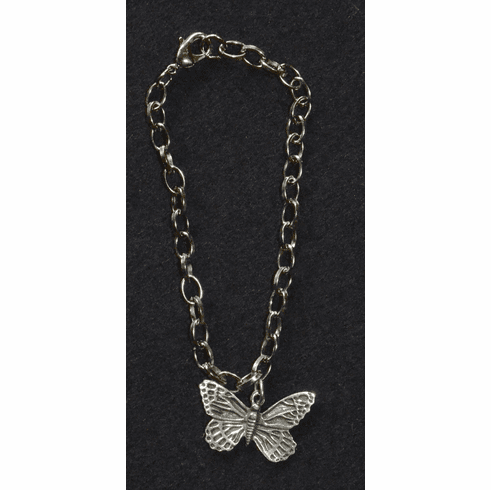 Pewter Butterfly Charm Bracelet - Traditional link pewter charm bracelet with the large butterfly charm and a secure lobster claw clasp. Charms can be added easily if you so choose or wear it as it is, great gift for any age. Bracelet measures 7" in length, charm is 1", gift boxed.